This October I will be traveling to Italy again, but this time it will be for my wedding. We rented a villa in Florence for a day to host the ceremony and reception. We decided a wedding planner would be key between the language barrier and the long distance, but the one thing I knew I wanted to do for the wedding was create my invitations. It would be the piece of paper that would join all our close friends and family together for the most important event in my life, and I wanted the design to be memorable. Something that truly fits with our personalities, the location, and the look and feel of the event. 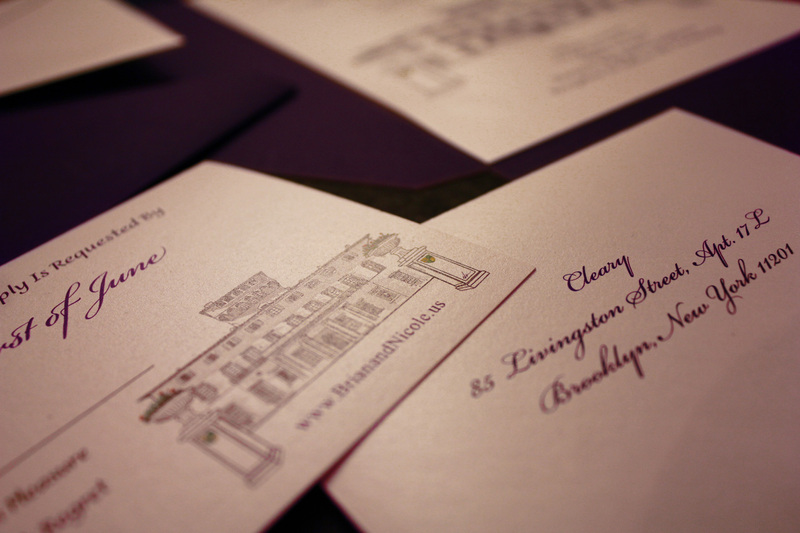 I sketched the villa illustration, created a font-treatment and color scheme, laid out the invitation and response card, chose paper stock, envelopes, and seals, and sent it off to the printer. A few days ago we got back the finished product, and I’m very pleased. They turned out just the way I wanted them to look. Now we’re ready to move forward with the next step in the wedding planning process… menu choices.